Ssssigggghh! The downside of a working class is you get to experience Monday blues and a Wednesday rush. Whew! Am I too obvious of how my week is going so far? Sometimes I just want to let earth swallow me and get lost or hop on the next available plane and catch a flight to Paris. Paris? oohhh am dreaming! But as my sister keeps on saying, DREAM is the only free thing in this world so why not DREAM ON. Aaahhh, but I need to get back to Earth first...I have a job waiting for me to be tackled. Helloo Earth!!! It's a good thing I have a polka-dot loaded Minnie Mouse pen to remind me that dreams can happen. A toast to all our dreams. Cheers!!! LOVE your photo. Oh how I wish to go back to Disney sometime soon. Never stop dreaming Bel. And when you dream, dream BIG! That is what I tell myself :) Love your photo! 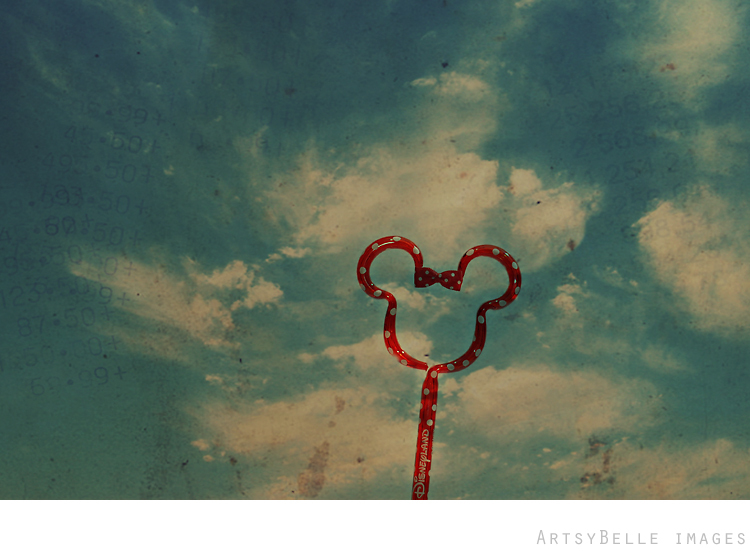 awww disney world :) i miss it so much - i worked there for 8 months as an intern & had the time of my life - love your photo ! !